Expectant parents at Salt Lake Community College can take a course which assists them though the childbirth process. The Doula and Childbirth Education course is taught during the fall and spring every year at Jordan Campus. Participants of this class learn about what to expect during all stages of the pregnancy. Paula Nielson-Williams, the program coordinator, explained that a doula is a nonmedical person who helps with childbirth. Like a birth coach, doulas help the mother relax, breathe and make sure that things are done that need to be done. 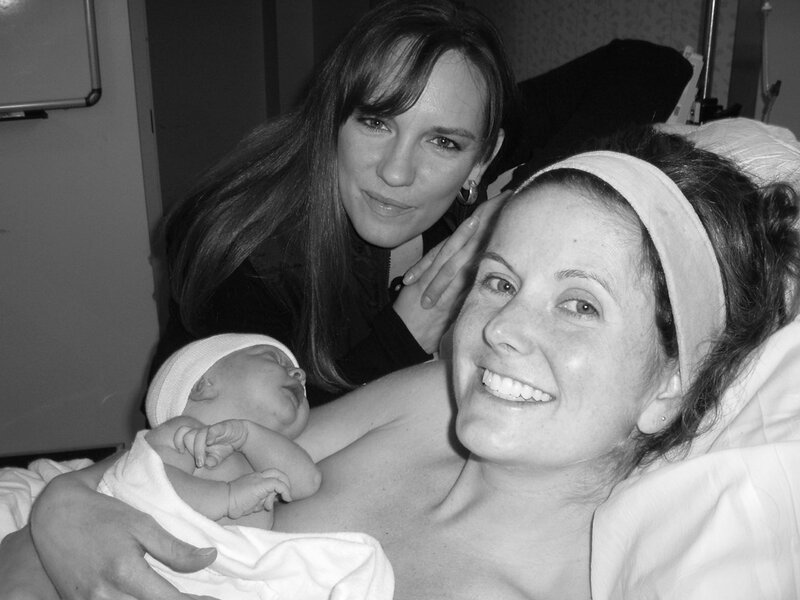 Unlike midwives, doulas do not do anything medically related to childbirth. “I always taught people that the doula is at the head side and the midwife is at the baby side,” Nielson-Williams said. There are two types of doulas: a labor doula and a postpartum doula. A labor doula is someone who provides support during pregnancy and throughout labor and delivery. A postpartum doula supports the mother following the birth of the child. Melissa Chappell, a doula for 15 years, said that there have been several research studies that show that mothers are more relaxed, calm and not fearful when a doula is present at childbirth. “Labors are shorter, labors are easier and babies bond better with their mothers,” Chappell said. The course taught at SLCC began in 2005 and teaches about labor and delivery. When it was originally set up, the class was meant to enhance nursing students’ education. The course completes the DONA International educational requirements for certification. Chappell feels that DONA International is the gold standard because of their ethics and values and the DONA certification is recognized internationally. Nielson-Williams said that it is theoretically possible for students who have completed the course and attended the required number of live births to be out and working by the end of the semester in which they take the class. Nielson-Williams said that students can work through Utah Doulas or on their own. Part-time doulas attend roughly two births per month. Nielson-Williams said that students don’t necessarily need to be looking to get certified in order to take the class. People who are empathetic, caring and calm are good candidates to become doulas, according to Nelson-Williams. Chappell added that a lot of the women who are drawn to become doulas are those who felt drawn towards helping and supporting women through this important time of their life.